We're having a Massive Tree Sale! 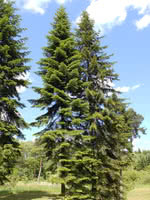 Canaan Fir, which is closely related to Balsam Fir, is known for its open-growing patterns and strong branches. 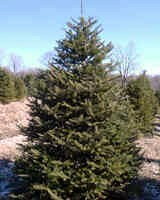 Canaan Fir is highly adaptable to many soil conditions and thrives in both shaded areas or direct sunlight. 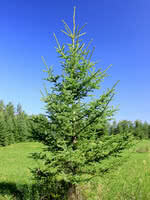 It is commonly used for Christmas tree farming or reforestation. This rugged landscape tree remains green year-round. What will you find at TreeTime.ca? 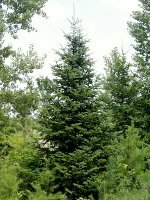 A huge assortment of trees, shrubs, and berry seedlings at prices garden centers, tree farms, and plant nurseries just can't match. Read our how to order page. Get front-of-the-line notifications on new products, upcoming events, harvest reports, in-depth product features and much more! Become an “Insider”, sign up today! Click the X to close this window.